Does Sprint Belong in Halo? Hi there, back again with another thought provoking commentary discussing the sprint game mechanic in Halo 4. The community is quite divided on the issue; with many calling for the complete removal of sprint. For those who don’t know sprint did not exist in Halo CE, Halo 2, and Halo 3. It was first introduced in Halo Reach as an armor ability, so you had to make a choice to select sprint and opt out of other armor abilities. Sprint then changed from an armor ability to a core gameplay mechanic in Halo 4, granting everyone the ability to sprint. A core ability that as of right now, cannot be turned off, even in custom games which has the competitive community upset. This was a pretty big change. People caught between wanting the “original Halo experience” and wanting to see the IP continue to evolve. Where do you stand? I’ve offered my thoughts and opinions in this video. Some people want it completely removed, others would like it returned as an armor ability like Halo Reach, some like sprint the way it is in Halo 4, and others would like changes but keep it as a core gameplay mechanic. This is a unique time for the Halo community, so many people are so passionate in regards to the sprint issue – which baffles me that this feature/change is stirring up more commotion than the addition/removal of duel wielding (existed Halo 2 to Halo 3), or equipment (Halo 3), or the addition of armor abilities and loadouts (Halo: Reach). Reminder, Bungie did create Halo CE, Halo 2, Halo 3, and Halo Reach whilst Halo 4 is 343 Industries “first” Halo title; granted that many 343 employees were part of Bungie so it would appear that Bungie was already on a similar path in evolving their IP and we could very well have seen Halo 4 exactly as it is right now if Bungie continued with the series. Hi there, back again with another Halo 4 Waypoint Code, this time this code gives you 10,000 XP for Halo 4. 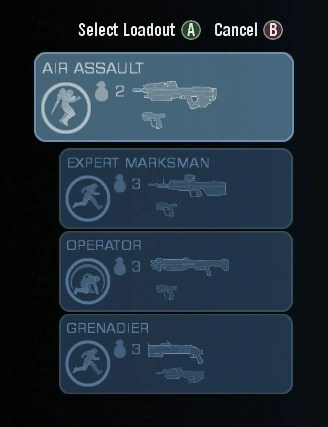 The only requirement is that you MUST have the Recruit achievement on Halo: Spartan Assault. So go ahead and enter this code into the Classified section on Waypoint or via Halo Waypoint on the Xbox.